Mon through Thu 10:00 a.m. – 9:00 p.m.
Here’s what you need to know… The nutrition you consume around your workout can greatly increase your rate of progress. Pre-workout and intra-workout nutrition is more important that post-workout nutrition. Eager gym-goers and researchers have also wondered about another nutrient-timing concept: if there’s a “best time” to eat. For years, most nutrition experts told people to eat more of their calories and carbs at breakfast, and to keep calories — and especially carbs — lower at night. 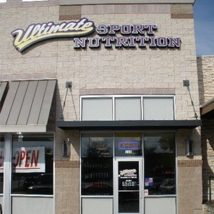 Copyright © 2019 Ultimate Sport Nutrition, All Rights Reserved.